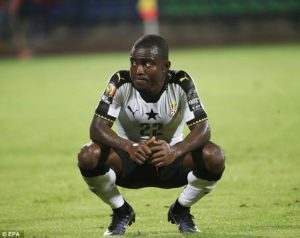 Ghana winger Frank Acheampong says he is ready to make a return to the national team after missing out in Ghana's last game with Ethiopia. Acheampong had to be excused from the Ghana camp prior to their AFCON qualifier with Kenya due to an eye problem. The 25-year old after a successful season with Chinese side Tianjin Teda is looking forward to coming back to the Black Stars. “It is not automatic to enter into the national team. You have to earn your call-up and I am ready to play my heart out when I return. “I had a good season in China and we avoided relegation. 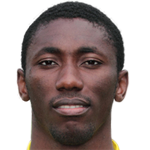 I hope my performance would convince the coach to welcome me back,” Acheampong said on Tuesday in Accra. The former Anderlecht player, who permanently joined Chinese side Tianjin Teda this year had a stellar season with the Chinese side in the league. He netted an impressive 17 times in 26 matches in the just ended Chinese Super League.